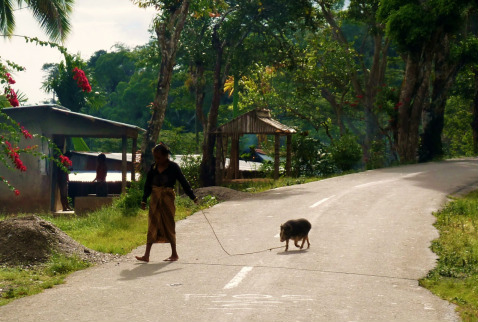 Timor appears caught in a descending spiral of poverty, poor health and illiteracy. It is the poor who suffer most from the violence and destruction wrought by various factions. With a shattered infrastructure and ill-equipped public servants, the nation needs transformation in all spheres of life. Major investments are needed in education, job creation, health care and training of leadership. The Catholic Church is the dominant religious institution with many citizens also retaining vestiges of animistic beliefs and practices. Unfortunately, Evangelical groups have reported that their ministries sometimes encounter hostility—at times escalating into incidents of harassment and low-level violence. Only about 2.3% of those in Timor Lorosae are Evangelical, with The Assemblies of God as the largest and most active. For economic growth: The oil and gas fields of the Timor Sea will hopefully bring the finances required. pray that Australia will be fair and generous in sharing the revenues. Ethical country leadership. Pray that income will be justly and wisely invested into projects that benefit the whole population and not just enrich a few.